Three-day Full Immersion Wine Tour. Up and down on the Tuscany Hills. * You will be temporarily staying in a private apartment that’s situated in a conventional Tuscan farmhouse. * Commence a trip of fresh discoveries, new flavours, new appearances and new food flavors. * You must go into the heart of Tuscany for you to have a memorable check out to the Chianti Region. * Go see Tuscany, Val D’Orcia region and experience the greatest foods and wines provided to you by Montalcino & Montepulciano. We will obtain the trek off to the best begin with an extraordinary trip in order to the Chianti region of Tuscany. You will be guided by an Italian scenic tour guide who has a friendly insights of the location. Your instructor will fetch you at around 8 am the at the Station of Florence right before you will be brought to your apartment placed in a local Tuscan farmhouse. You will be permitted two hours in order to familiarize yourself with your lodging prior to being whisked off on your very first adventure. For this day, the greater things in life will have the center stage. We will sight-see the noticeable castles and wineries in Chianti and you will even satisfy yourself in the greatest bottle of wines and olive oils of the region. Following the trip on the wineries and tasting their scrumptious wines, Greve is the upcoming venue where you will be gotten to some fine harvest of the area just before concluding everything off with a dinner at a local Trattoria. Today is going to be a white wine day, dedicated to La Vernaccia Tuscan wine. 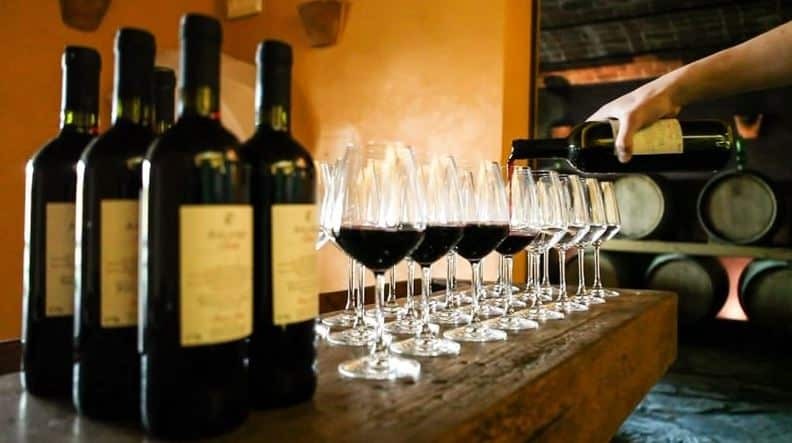 In the morning, we will drive around the countryside of San Gimignano and Castelvecchio National Park and, along the way, we will have an opportunity to sample stunning wines and delicious food at two of the great wineries that are run by local families. In the afternoon, we will progress to the beautiful village of San Gimignano, where you can have some free time to explore this stunning Tuscan town. San Gimignano is famous for its fascinating medieval architecture and lofty towers from which visitors can enjoy impressive views of the city from the surrounding valley. At the height of its glory, San Gimignano’s patrician families had built around 72 tower houses as a symbol of their wealth and power. Although only 14 have survived, San Gimignano still retains its feudal atmosphere and magical appearance. We will end the first day of the tour at a local Tuscan trattoria, where we will enjoy dinner before heading back to the accommodation. Today, we will visit Montalcino, which is renowned for Brunello di Montalcino, a red wine that is widely regarded as one of the top three red wines in the world. You’ll have an opportunity to learn more about this wine with a visit to one of the region’s most prestigious winery and cellars where we will stop for a lunch. Later, we will visit Montepulciano, a famous medieval village that is replete with Tuscan history and an area of the region that is renowned for its cultural summer festival and fairs.